2. 2 x Small Children's Chair with High Seat (Seat Height 24 cm) or 2 x Small Children's Chair with Low Seat (Seat Height 14 cm). 3. 1 x Large Children's Table (Table Top Height 38 cm). 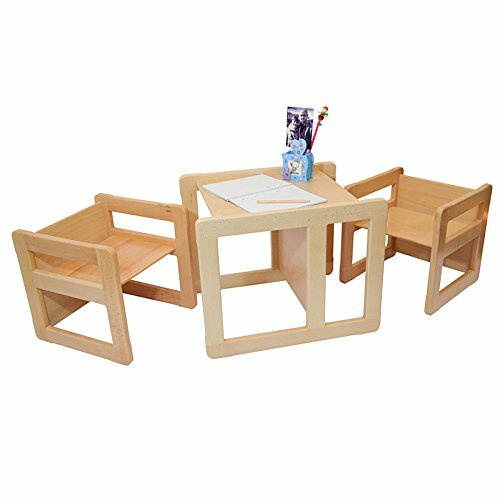 This listing is for 3 in 1 Childrens Multifunctional Furniture Set of 3, Two Small Chairs or Tables and One Large Chair or Table Beech Wood, Natural.